An enduring myth within the Third Wave coffee movement is that price based on some objective measure quality has the ability to create sustainable supply chains in which equity is shared throughout. 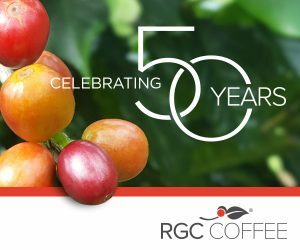 While this may hold true in isolated cases, the real value addition for Third Wave, high-quality coffees has been devised by and remains controlled by actors in the global North, a reality that perpetuates classic dependency patterns in the coffee trade that disadvantage smallholder producers. Such is an over-simplified summary of an argument put forth last year — and reminded to Daily Coffee News by a recent Twitter chain — from Edward F. (Ted) Fischer, a longtime anthropological scholar and director for the Center for Latin American Studies at Vanderbilt University. The paper is grounded in Marxist economic theory on commodities, particularly involving “use-value” (an object’s fundamental material utility) and “exchange value” (what people are willing to pay for it once it is marketed). In the excerpts below, there are also repeated references to “material production” and “symbolic production.” Again, to over-simplify, we might consider material production the actual production of a good (in this case, coffee produced by a farmer), whereas symbolic production involves social and cultural values (in this case, production by the coffee roaster/retailer). 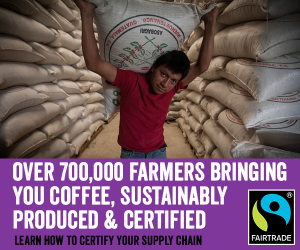 In the case of coffee, smallholding farmers control terroir in the gritty materiality of dirt and land, and thus the ability to produce a certain quality, but the real economic power lies with those who define quality, the coffee aficionados and Third Wave marketeers who orchestrate the symbolic and social means of producing what Jens Beckert (2016) terms “imaginative value.” With tastemakers in the Global North constantly chasing new and ever more exotic flavors, farmers in tropical coffee growing regions of the world find themselves at an impossible disadvantage in making decisions for planting and harvests four to five years down the road. Under these conditions, the one who controls the means of symbolic production is able to extract the most surplus material value. 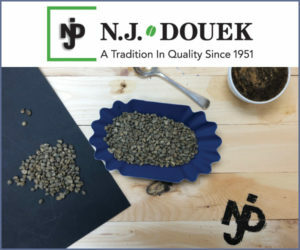 Experts emphasize that quality is strictly about what is “in the cup” – they say that hype and PR does not matter in a blind cupping because the quality is either there or not. All very upfront and meritocratic, it would seem. But who adjudicates that quality? 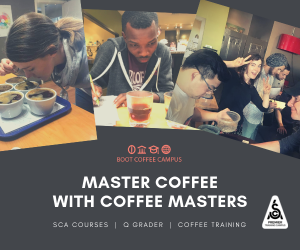 The coffee world’s notion of “quality” strives for solidity and objectivity, with tasting certifications, multi-judge panels, and other metrics imbued with a pseudo-scientific legitimacy. A key function of this elaborate apparatus is to obscure that it is a social artifice, a shared aesthetic valuation regime shot through with economic interest and power relations. The data show that the farm gate price depends more on the size of the farm and the social capital of the farmer than on blind cupping scores. In this market, the real economic power rests with the ability to define the terms of symbolic value and to translate those symbolic values across the commodity chain. For many Third Wave coffee consumers, they are not only drinking a quality cup of coffee, but also buying into (in their own idiosyncratic ways) a vague ethic of artisanal quality and authenticity and a connection to a distant Other. The means of symbolic production are more ephemeral and elusive, dealing with imaginative rather than material potential. They involve trend-setters, cool-hunters, thought-leaders, media conglomerates, maverick bloggers, social networks, the idiosyncratic improvisation of daily life, the serendipity of encounters with people and ideas, and the viscous structures that channel our desires. The Third Wave concern with “quality in the cup” overshadows appeals to social justice in the conditions of production. 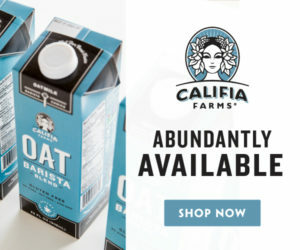 This is a post-justice infatuation with artisanry and authenticity that simply assumes that such expensive coffee will be produced in ethical conditions. For the big winners, success comes not just from microclimate and harvesting techniques, but in their store of social and cultural capital that allows them to bridge domains of value to facilitate economic arbitrage. 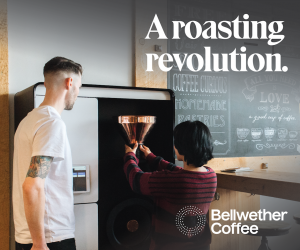 The real power still rests in the Global North, with roasters and retailers educating consumers about coffee quality and managing the symbolic capital in a way that pushes risks back onto producers (even of quality coffee) and making them vulnerable to fickle taste and trends. Objective quality (by established tasting standards and conventions) and market scarcity play an important role, but just as important, and probably more, are the symbolic values at play: the relative positioning of conspicuous consumption; the imagined, personal relationship with a producer; and underwriting it all, the cultural and market shift among the global affluent toward artisanal and singular products. The language used to talk about Third Wave coffee borrows heavily from fine wine, ideas of terroir, and the artisanal food movement. The narratives about provenance and taste are key to its value. 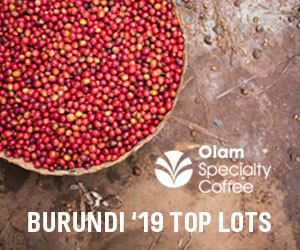 For virtually all who try them, it is clear that micro-lot Third Wave coffees are different from run-of-the-mill joe. 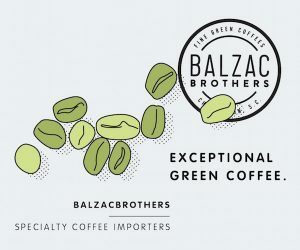 A whole range of subtle flavors comes out in the clean, smooth, balanced profile of a fine coffee. There is an objective, material distinction: they simply taste different. But how does different become “better”? The values and labels we assign to tastes are learned. They become codified among a cognoscenti, and then, to the extent that they become stylish, are learned by others. At the very least, a common vocabulary gets established, one permeated with class and cultural associations. 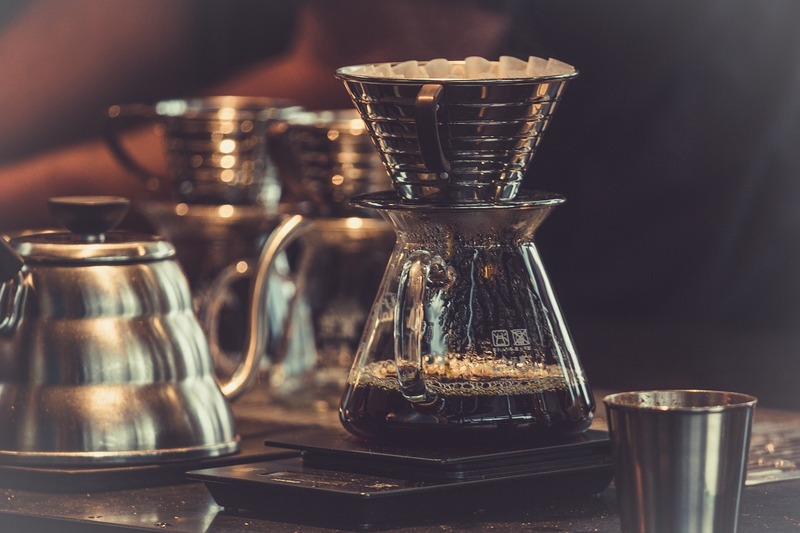 The SCAA, CoE, and others pioneering the Third Wave coffee market have made a concerted effort to establish new taste criteria and to ground those value judgments in objective, scientific measurements. This is the way that the means of symbolic production can work to make “different” into “better”: employing science (agronomy, geography, climatology) to create categories of “objective” differences, upon which are built the pseudo-objective cupping profiles, and values are assigned to these profiles on a scale that corresponds to price. It is here (in the coffee shops and online stores) that the means of symbolic production are deployed, with particular attributes highlighted and communicated. While there are a growing number of serious coffee aficionados, they still only constitute a fraction of a typical shop’s business. So Third Wave retailers have to educate consumers and create demand for a product that has long been priced as a bulk commodity. What kind of value does a $7 cup of coffee bring as opposed to a $1 cup? Among farmers in our sample, there was clearly a realization of the importance of “quality,” but for most, quality is predicated on the judgments of intermediaries who assess quality through the cosmetic appearance of cherry or parchment. While there is strong interest in knowing more about the people who drink their coffee, growers’ understandings of Third Wave consumers is vague at best. Farmers are seeking to hold on to (and expand) land holdings, while tastemakers and consumers are chasing new and ever more exotic flavors. The biggest beneficiaries of this high-altitude coffee boom have been the middle-sized producers, the smaller of the big producers. These tend to be non-indigenous-owned farms that have been in business for generations and whose owners have inherited and built up the social capital needed to present an attractive image of production and quality to the North American or European market. These farmers tend to be better educated, often with some university education, speak at least a little English, and be early adopters of the internet and cell phones and other technologies of commerce. 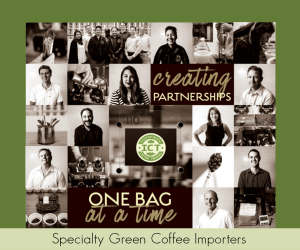 They grow very high quality coffee, but just as important, they have the social capital that allows them to engage the export market and translate across value regimes. …We find a neo-dependency global economy, with production taking place in the periphery and consumption in the core. At the same time, high-end markets are chasing authenticity and singularity in a symbolic landscape based on imagined values (and relative positional status). This results in a situation where control over the material means of production is no longer crucial to accumulation. What matters more in this context is control over the channels of distribution and the means of symbolic production. We have seen how roasters and coffee shops, the SCAA and its corporate partners, and coffee trendsetters around the world have built a system of coffee metrics and descriptors that anchors valuations and price; how this symbolic valuation machine is deployed alongside the cultural capital provided by narratives of romanticized provenance and self-improvement; and how apparatuses such as the SCAA Flavor Wheel and the accompanying Lexicon go to great lengths to ground their symbolic value creation in metrics. In this way, the means of symbolic production is grounded in seemingly objective criteria. Roasters are seeking the ever more exotic, as it is oddity and novelty that is most valued. One roaster we interviewed was bubbling with pride as he described a new flavor he had just uncovered in a particular roast (bubblegum!). As I write this, I received a promotional email for a Red Gesha offered by Stumptown with “juicy notes of watermelon and rose water with a hard candy sweetness.” It will be difficult for Maya farmers to keep up with market tastes that shift so quickly, especially when they have to make decisions about what varietals to plants four or five years out. Haha, ya got me with that second paragraph- good one! The appeal and impact of narrowly defined / boutique quality mantras frankly appears exaggerated to me (if one were to walk the streets of most cities in America, and visit its cafes, I don’t think that that is what one would notice as prevailing – and if you don’t have “the numbers”, then it doesn’t matter). In its extreme, by its own weight a vanity can never be part of the solution in essential sustenance matters: it’s two different levels of thinking that don’t coalesce well. Thank you for publishing this interesting article. I am what I term a “Micro-Farmer” in Panama. I totally understand where the article is coming from. I cannot say I agree with all the points presented in the article, but I do with a lot of them. My partner and I have our farms and mill in a very isolated part of Panama. 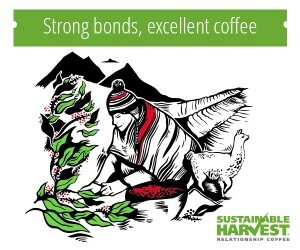 We have yet to export 1 kilo of our fantastic coffee. It is not for any sinister actions or bad intentioned people or corporate greed. Rather, it is due to lack of funds, support and therefore lack of product. Those are the real issues that hold back the small farmer. That being said, the specialty coffee industry is in constant flux. It is new and growing by leaps and bounds. The article managed to expose a serious problem in the “Third Wave World”: flavours and personal tastes have become the measuring rod or “touchstone” for quality. The focus of the article is good because it endeavors to look at the industry from the small (micro?) farmer’s perspective. The competition in “The “Global North” has become intense to say the least. So has their need to stand out as something special and unique. It has to be understood that Q-Graders and Flavour Wheels have their purpose. Experienced Q-Graders fulfil a very important role in determining coffee quality. Of course, it is not done in a scientific laboratory where the samples are examined under microscopes and chemical analysis. Could you imagine how that would affect the industry? Who would pay for those tests? I have paid over US $300 for tests like that as required by Panamanian law to sell our coffee on the national market. 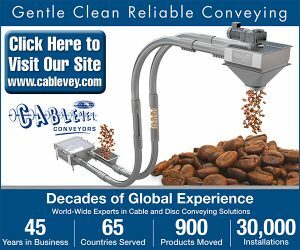 They cannot test for defects or errors in process, but check for bacteria and things of that nature. 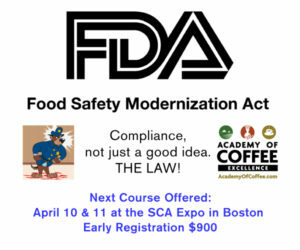 Also, if the coffee is properly processed it will be free from harmful bacteria. The argument here is “does taste determine quality?” It shouldn’t but it does. Eg. Geisha. What makes geisha so special? It is not the quality but the flavor. It tastes different. The plants grow side by side with other arabicas, the farm maintenance and care is the same as with others and so is the process, wet, natural or honey. How is it better? Only in the flavor notes. Not everyone likes geisha. Not all geishas are equal, the same as any other type of varietal. There is cupping for defects and there is cupping for quality. Most of us at the farm and mill level only cup for defects, although it is always a bonus to detect some outstanding flavor notes and aromas. The goal of the micro-farmer is to carry his product to the highest level possible. 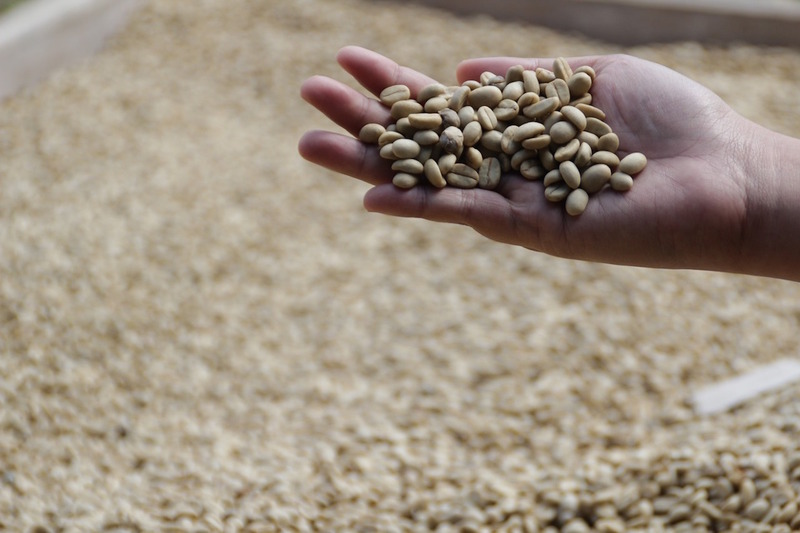 The purpose of the mill is to process the beans as perfectly as possible without errors. If they both do their job correctly and the farm is at an acceptable altitude the beans should pass 80 points without a problem. From there, it is the aroma, body, brightness, balance, flavor, sweetness and aftertaste that determine the other points. Those are qualities that can only be measured by the human palate. After that the grader gives his personal score. The problem is when a better quality is perceived only because it may taste more floral than citrusy or whatever. The different flavours in coffee is one of the most fascinating features there is. How can one plant have so many different flavours? Trends will come and go. What is great today, may not be popular tomorrow. That is the problem with putting too much emphasis on points. Q-Graders vary, also. What may be an 85 for one may only be an 83 for another, or maybe an 87. I think it would be better to score on everything but flavor. It is important to mention the flavor notes, but that should be separate from scores. Some people prefer a berry flavoured coffee over citrus, others like a chocolate aftertaste. That part should be neutral. The retail end should know the preferences of their clients. I liked the paragraph “On Consumer Perception”. I could not agree more. People are told what to like. Is that not sales? I once entered a coffee shop that also roasts on site. They have a strange philosophy of “one profile fits all”. I don’t only grow and process coffee but I roast it, too. I know enough that different beans have different profiles to find their particular “sweet spots”. 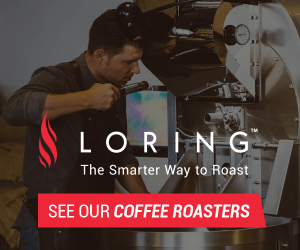 This company although thriving, roasts all their beans well under 2nd crack, which to me is the right point for cupping. To me, it is too green to present for retail. I mentioned that and I was then put in my place because they are the experts and that is the perceived perfect spot. The section “On which producers benefit” is dead on. From what I have seen, it is only the elite producers that are included in the circles of the 3rd Wave buyers. Again, I do not see that as sinister or wicked, but only as the way things are. These ones can fill a need and they do it well. That is tough for the micro-farmer. It is sad, but true that the micro-farmer is at the greatest disadvantages of all. The article made that clear. Generally, we are under educated, underfunded, more isolated and without the equipment to process or export our coffees. It will be interesting to see how this plays out. 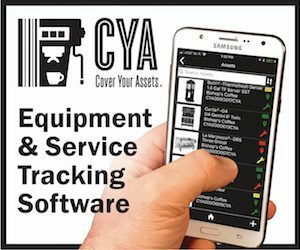 For me, it is very important to get the small farm holders on the map. It is a very big challenge. We cannot do it alone. By the looks of things, the 3rd Wave people aren’t too interested either. We are going it alone. I disagree with the remise that quality is what WE tell the consumer it is. Yes, a small portion of the buying public will “learn” what is determined to be “good quality” then respond to that when encountered later on. I lived abut 80% of my life so far never drinking one cup of coffee. It was all horrid stuff, bitter, sour, harsh, nasty, a wretched flavour lingering in my mouth for hours whenever I tasted a bit. I never could drink more than thta first mouthful. Many handed me stuff they said was really good… nope, Missed again, GET that stuff OUTTA here. I was a very content tea drinker, and no one had to teach me what was “good quality”, I already knew….. same variety or style from different producers, i ALWAYS selected the better ones. THEN a good friend who had learned how to roast in a cast iron pan on the side burner of his LPG barbecue roasted some ,brewed it well in a french press, and handed it me. It was his normal morning cup, Nothing special. ONE SIP and I loved it!!! After decades of spitting everything else out, instantly, no one had to tell me this was GOOD COFFEE. My palate KNEW. It launched me on the adventure of my life. I HAD to figure it out. But no one had to single that one out and convince me it was GOOD. Neither of us recall which one that was, of the six he’d bought from a well known importer dedicated to high quality standards. As I persued learning to roast (back when no one would tell me anything, cause it was a closed world) I sought out production roasters and would cadge a few puonds of whatever they had, for outrageous high prices. But my adventure needed fuelling, so I paid the piper to be able to dance the jig. Most of what I found was mediocre to poor. One local roaster bought from a well known importer I shall not name, and everything he had was unremarkable. Drinkable, but I had this sense somethingwas missing. I finally ended up through the craziest set of circumstances buying a bag from Erna Knutsen. It was from the Mierisch Brothers in Matagalpa Nicaragua. This one was head and shoulders better than anything else I’d bought, and this one cost me a buck and a half the pound dropped into the back of my van. I’d paid as much as six times that for…… wretched stuff. That “other” importer still brings in mediocre stocks, and the occasional exception to their rule. I’ve sampled, but never bought. I’fe gotten connected with two other importers, both dedicated to the highest quality standards. With one of them I quickly learned to trust their judgement and evaluation, don’t bother with samples to come and evaluate them, them make the buying decision. Why? Because in the time it took for the samples to arrive, roas,t rest, cup, my inexperienced palate always selected the beest ones…. which were invariabl GONE before all that could happen. Others more local could pop round, cup, evaluate, order immediately…… and I was always left with the leavings. Which “rejects” were still invariably superior to what the “other” importer always traded. I innately KNEW quality coffee when it was put in front of me. I never had anyone tell me “this one is good, that one inferior”. Some time back I joined a cupping at a trade show,, hosted by my favourite importer. A dozen on the table, many excellent ones, but two were outstanding. I akse about position, was told we still have a few bags left, I reserved two. 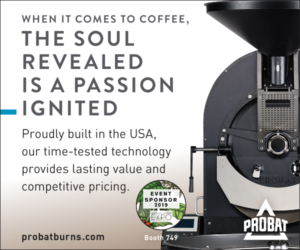 That coffee has stunned so many people when I have prepared it for them at events….. the importer, when I commented on how many folks loved that particular one, told me “yes, I think its the best coffee we put into North America last year”. WHO told all those people to whom I served that coffee that it was “good”? No one. Their own palates KNEW it was outstanding. I’ve catered coffee to mutlilday events, begging what was not brewed each day, and having it on offer as whole bean bagged the next. The day after THAT one coffee was served, I had a number of people come to our stand and ask if there was any of that from yesterday.. sold off every bag I had, roasted more later in the week, it also flew out of the basket. NO ONE needed to tell them it was good. They KNEW. A number of people contacted me after the event and specifically asked for that one coffee.. over and above the dozen we had to share that week. Recently I had an experiece iwth a young woman, not particularly “trrained” in good coffee, and who had tasted perhaps twenty of my coffees over a period of time. I was brewing one certain coffee, handed her a cup, she went off to snjoy it with other friends, and came back to me and asked if she could get a bag of THAT ONE roasted. She had been drinking my coffees casually for a year, and never ordered a bag before. I was surprised… and was pleased to fulfil her request two days later. She is now vising a few states away, sharing the “special” coffee with relatives who KNOW good coffee… and they are all amazed at how wonderful THAT one is. I have not yet told her that coffee had placed 14th in the Cup of Excellence competition for that country of origin. No one needed to tell her that is “good coffee”. She KNEW the instant she tasted it. And HAD to have some for herself.